Yes. The second dog from the same family in any standard room or suite is discounted. Do you offer a discount for extended stays? Whether it is day one or day 20 for your dog, they will get the same love and attention from our staff. For this reason, we do not offer discounts on extended stays. Can you provide my dog/cat his/her medications? Is there a charge? Yes, we will provide your dog's oral or topical medications at no extra charge unless your pet is extremely difficult to medicate which would require a veterinary technician. Please bring the medication in the original prescription bottle. This is required by law in several and provides useful information to our staff. Absolutely! In fact, we encourage it. You are always welcome to stop by The Retreat at Cottonwood. Because the dogs are out playing all day, there is no need to walk a dog for exercise. If you would like to have us walk your dog on a leash, we will be happy to do so in the safety of our large enclosed outdoor yard. Kennels vary, but in a "traditional" kennel, your dog is usually left in a cage most of the day and may be let out briefly or placed in an outdoor run a couple of times a day. The dogs usually do not interact with other dogs. All dogs are let out three times a day to roam the yard and go potty. Dogs who take advantage of daycare, are able to be out playing the majority of the day. If your dog or cat becomes ill or is injured while at The Retreat at Cottonwood, we will have one of the veterinarians at Cottonwood Veterinary Clinic evaluate and treat your pet. It seems like a zoo when I drop my dog off for a stay, is it always like that? No. When we have visitors such as a new dog, or new person, the dogs often get very excited and you can hear and see this excitement. There is always playing and some barking going on, but the dogs settle down quite a bit once the new dog is introduced into the play areas and our human visitors either leave or are very quiet for a few minutes. Our frequent guests become very accustomed to our trainers and the other regulars at daycare and settle right into playing. Should I bring anything for my dog/cat? We strongly suggest bringing your dog’s food from home. We will happily feed your dog or cat our food but it is best for them to not change foods rapidly. We will provide nighttime treats, and plenty bedding and a comfy cot. If you wish to bring toys, bedding, or anything else that will help make your dog feel more at home, we can certainly accommodate this, but it is not necessary. Yes. For overnight boarding, we definitely need a reservation. Depending on the time of year, we can often accommodate short notice or same day notice. Please be aware that Holidays such as Thanksgiving and Christmas book several months in advance and other holidays book several weeks in advance. How often do you feed my pet? At The Retreat at Cottonwood, we prefer you bring your pet’s own food. This is best for the health and comfort of your pet. We will feed your pet the same quantity and frequency as you do at home. What if I forget to bring my pet’s food? May I board my dog’s together? Yes. As long as your dogs get along, we would recommend they stay together for their own comfort. If my dogs board together, can you feed them separately? Of course. 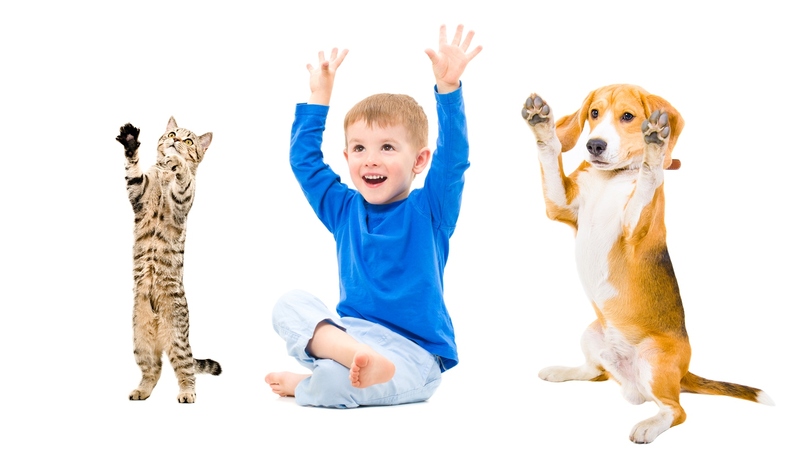 We will be glad to accommodate the needs of your pets. Just remember to make a note of this when checking into The Retreat. How often will my dog be let out to use the restroom? Can my dog partake in Doggie Daycare while boarding? Yes. If your dog has had the temperament evaluation and enjoys other dogs, your dog will play in group daycare. If your dog would rather not play with other dogs, your dog can still enjoy time with staff out of his/her room. Doggy daycare is an environment where dogs are dropped off for the day to play with other dogs in a fun, well supervised and safe environment. The dogs are placed in indoor / outdoor play areas where they can socialize and play with other dogs. They are separated by size, temperament, and activity level. If a dog is tired, they can take a nap in one of our rooms. Overnight guests spend an hour and a half in their cabins for morning and evening meals in addition to taking a short nap in the middle of the day. Yes. In addition to our large indoor play area, we do have outdoor yards. Every dog must first complete a temperament evaluation, so we can see how they interact with humans and other dogs. They must be over four months old, must be spayed or neutered if they are over 9 months old, and must be current on their Rabies, Bordetella (for canine cough), and Distemper/Parvo, Canine Influenza (H3N2/H3N8) and Broad-Spectrum Dewormer vaccinations. They must be in good health, flea/tick free, friendly to all dogs, and generally love to play. How old do the dogs have to be to come to daycare? We require that dogs be at least three months old to play with other dogs at daycare and have had their Rabies vaccination. This is for the safety of your puppy and for the safety of other dogs. Final vaccinations, including the first rabies vaccination, typically aren't given until three-four months of age. It is very important that dogs younger than four months attend our puppy preschool class where they will learn proper socialization allowing them to come to daycare when they are old enough. We require Rabies, Bordetella, Distemper/Parvo and Canine Influenza (H3N2/H3N8). We also require deworming every six months. We must have a document showing the date this was given provided by a veterinarian. Vaccines must be given by a licensed veterinarian. Why do you require that my dog be spayed or neutered to attend daycare? The main reason is that intact dogs are at greater risk of injury from other dogs. In a social environment, intact males are often viewed as threats by other dominant dogs. Intact females, whether in heat or not, may be picked on by other female dogs and male dogs. Will my dog like the daycare environment? If your dog does not like other dogs, then no, your dog may not like this environment. Every dog is different, but part of our evaluation process is to asses whether your dog enjoys this environment. At the end of the evaluation day, we provide a report card and are definitely there to talk to you about how your dog interacted with the other dogs and if they seemed to enjoy the environment. We want your dog to be happy as much as you do and promise to be honest with you if we feel this isn't the best possible environment for your dog. I have an old dog. Will they enjoy daycare? This will depend on your dog. We have several older guests who love the interaction with other dogs. Part of the way we separate dogs into our various play areas is dependent upon activity level, so a larger, older dog may be placed with other older, mellow dogs of his similar size. The evaluation process will also help us, and you, determine if our environment is right for your dog. Our daycare trainers are constantly evaluating each guests behavior, and if they view your dog as overwhelmed or tired they will place your dog in one of our spacious rooms for a short nap. My dog has health issues, can he/she still come to daycare? This depends on the health issues. There are certain illnesses that don't mix well in a social environment. We cannot accept dogs with communicable diseases or parasites. There are other health issues such as ear infections, arthritis, glaucoma, and cancer, which we are usually able to accommodate. It is best to discuss any possible issues with one of our pet care coordinators or trainers. Is this daycare environment safe for small dogs? Why is my dog tired when he/she comes home from daycare? This is one of the great benefits of Daycare! Your dog gets to play all day, so naturally, they are tired at the end of the day. Often, when you take your dog home, they will curl up and go to sleep. Rest assured if your dog becomes overly tired during the day, we will take them to a room for an hour nap. We will not force a dog to get up from a nap if they are still sleeping. Many of our guests that stay for extended periods of time choose to take longer naps. Are there nap times at daycare? After a few hours of playing in the morning, we typically require a mid-day potty break and nap. Our daycare guests enjoy this time to rejuvenate and prepare for afternoon playtime! Why is my dog thirsty when he/she comes home from daycare? Water is available at all times in all of our play areas and rooms. Playing hard all day is just as strenuous as working out. Even though water is available, after a car ride home, it will probably be time for your dog to drink some more water to help re-hydrate after a hard day of play. No. We do not have a person that spends the night with the dogs, but we do have monitored security, fire, and temperature control alarms. In our environment, where the dogs are active all day, getting a good night's rest is important. Also be aware that in traditional kennels that do have a human on site, that person is not interacting with the dogs and the dogs are not let out to use the bathroom. In kennels with indoor / outdoor dog runs, the outdoor section is closed off at night for security purposes. If your dog requires overnight monitoring, the best options to look at are in-home pet care or hospitalized boarding at a vet clinic. It is best to have your dog eat a minimum of 1.5 hours prior to coming to daycare to prevent bloat. Bloat can be caused from playing to soon after eating and can be harmful. If your dog ate less than 1.5 hours before coming to daycare, please let the trainer know for the safety and well being of your pet. We would prefer your dog wear a quick release collar with identification tags. Dogs pull on collars while playing, so please be aware that collars may become damaged. If the daycare trainer notices your dog’s collar is getting pulled by other dogs, she may choose to just remove the collar until your dog goes home for the day. We will take excellent care of your dog if anything comes up. You will be contacted and in the event of an emergency your dog will be brought to a vet immediately.